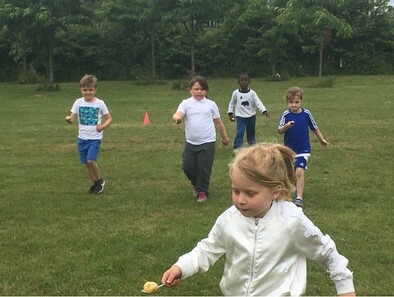 Our first ever Active School Week ran from Monday 11th June to Friday 15th June 2018. 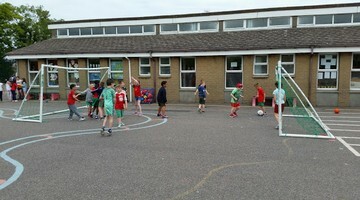 It was filled with lots of fun games and activities to suit all levels of abilities. 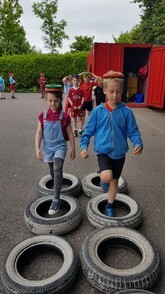 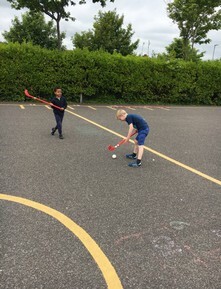 Thankfully the sun stayed shining for most of the week so the boys and girls were able to get outside and enjoy getting fit and active. 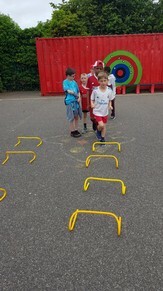 Day 1 kicked off with all classes completing the Daily Mile. 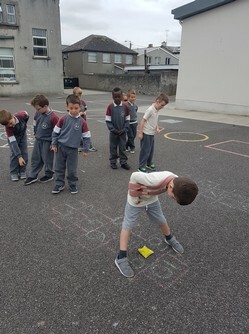 We have been participating in the Daily Mile since last year so we were rearing to go. 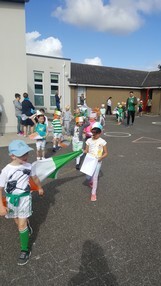 The Junior Infants kicked off first and ran laps around the school. 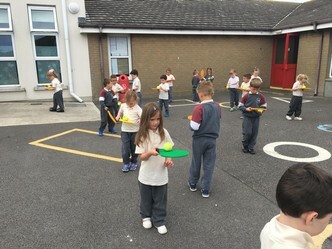 We did this every day and recorded the distance we ran at the end of the week. 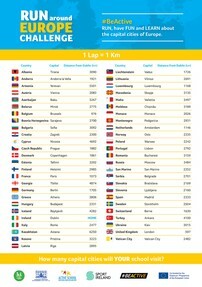 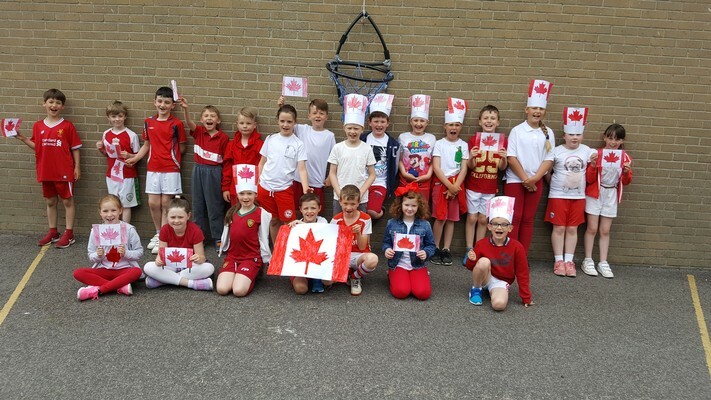 In total the whole school ran a length of 1687.5km!! 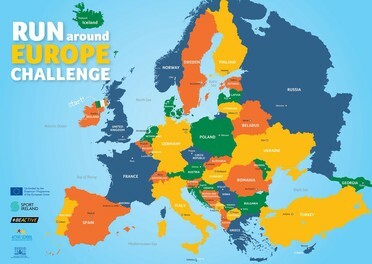 We took our distance and calculated what cities we managed to visit on our Run around Europe Challenge. 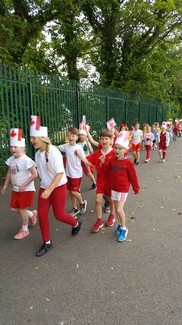 So the children managed to run as far as Switzerland. 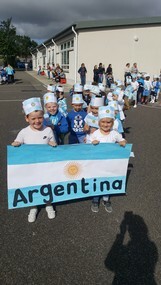 Well done all!! 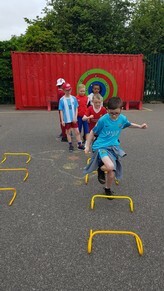 The children also learned lots of new skipping rhymes and practised them all week. 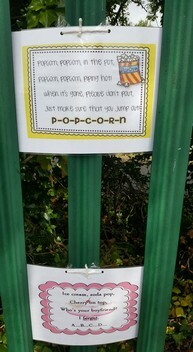 Here is Mr Donovan's class doing the rhyme "Popcorn, Popcorn". 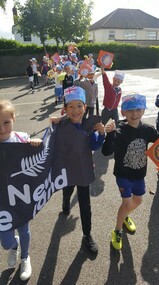 Our second day of Active Week kicked off with an Olympic Parade around the school. 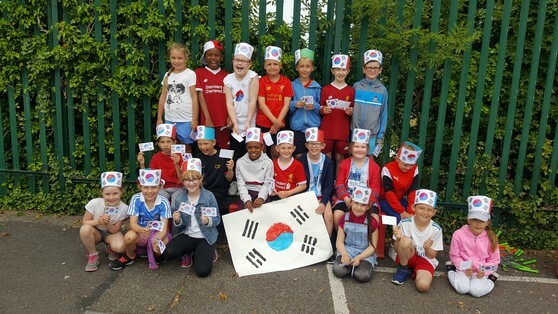 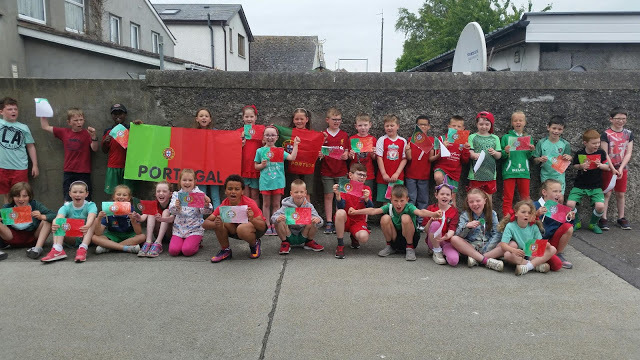 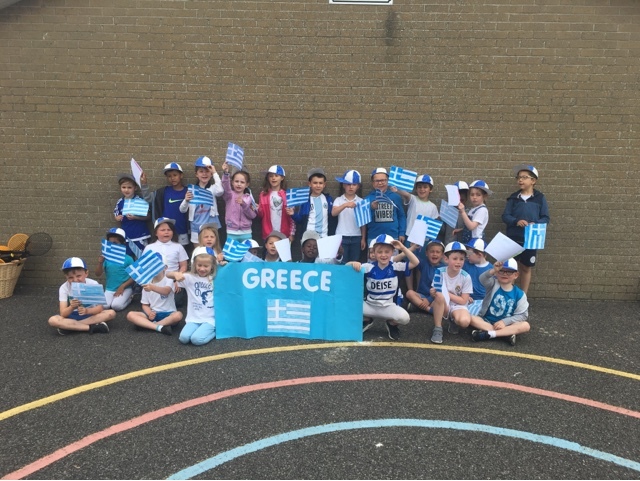 The Senior Infants and Second classes all chose a country each and dressed up in that country's colours. 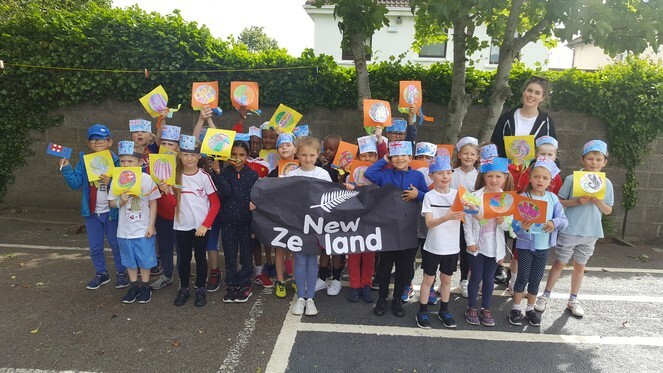 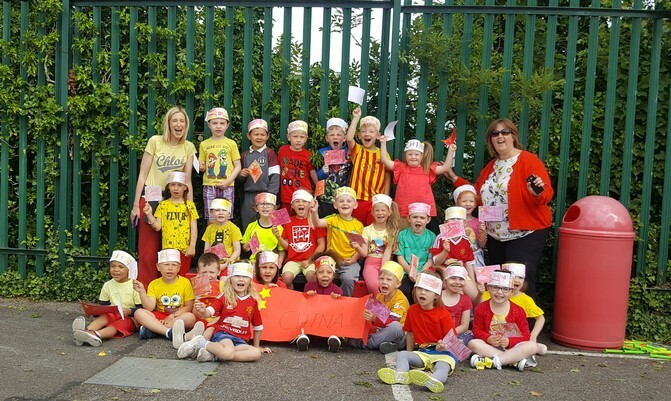 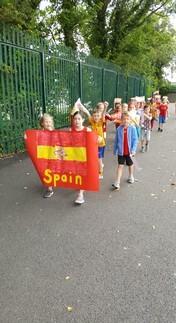 As they marched around the yard parading their flags and banners, the parents, Junior Infants and First classes cheered them on. 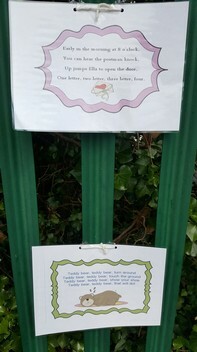 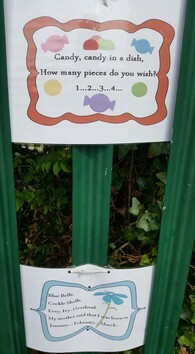 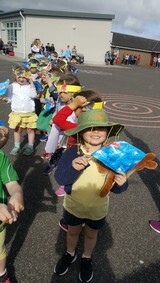 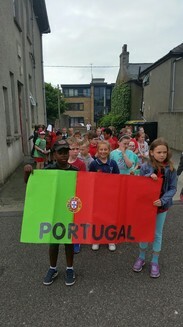 After our Olympic Parade around the yard, the Senior Infants and Second classes got stuck into their Sports Day. 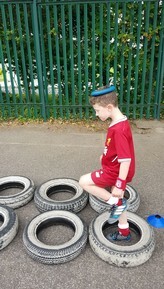 There were lots of fun activities for all the varying abilities of the children to enjoy. 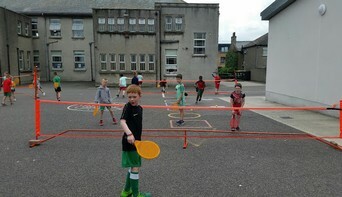 They played tennis, football, basketball as well as participating in an obstacle course. 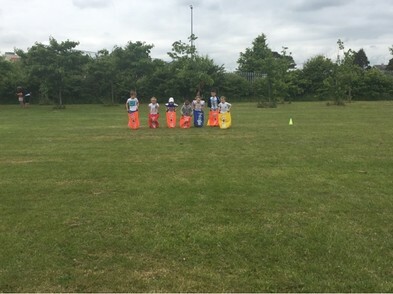 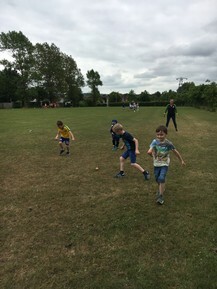 All classes then headed over to the field where they enjoyed relay races, egg and spoon races and sack races. 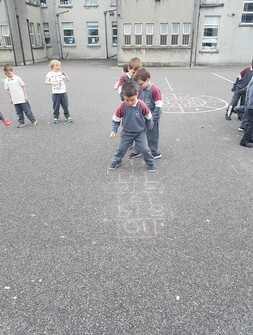 Today we decided to focus on games from the past and so we concentrated on the game of Hopscotch. 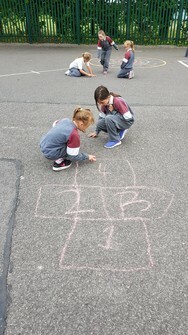 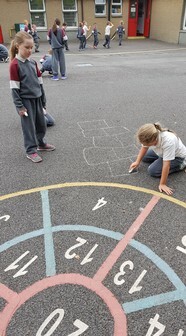 The 1st and 2nd classes drew out the Hopscotch beds on the school yard with chalk and they helped teach the game to the younger classes. 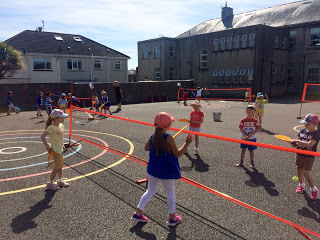 It was the Junior Infants and First classes turn for Sports Day on Day 4 of Active Week. 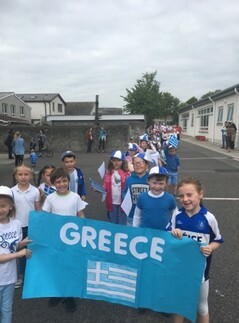 Once again we started off with an Olympic Parade around the school yard with all the parents and other classes cheering them on. 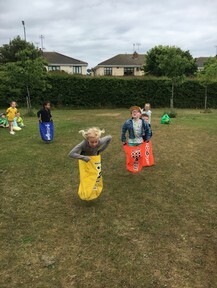 Then the classes got stuck into lots of fun activities. 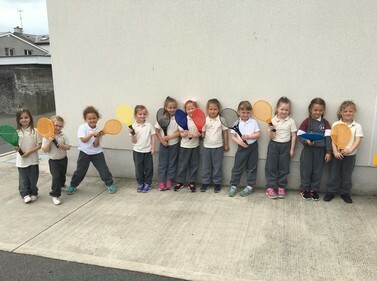 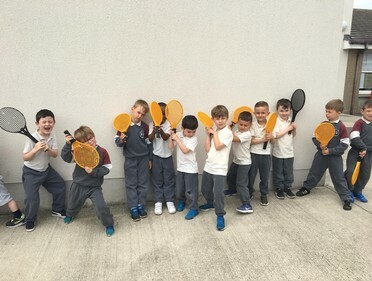 Here's Mrs Adderley's class practising their tennis skills. 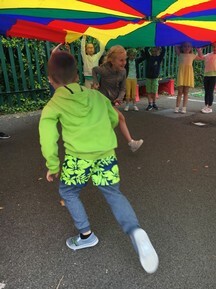 For our last day of Active School Week, the whole school took part in a fun Drop Everything and Dance session. 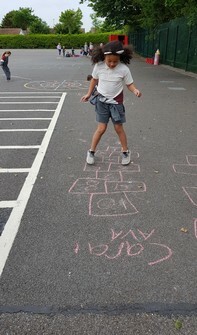 It was the perfect way to end a busy week. 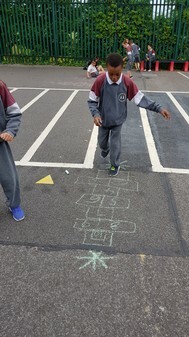 Music was played over the intercom for all the classes to enjoy and move to.